Your Saturday schedule: boozy brunch, a disco nap, prep, primp and then hit the streets. While you're deciding which killer heels you'll wear and whether you want your look to be flirty, fierce or a bit of both, pregame with a cocktail or two. Whether you're feeling spicy and feisty, fun and fearless or polished and pretty, the Style & Create collection from Motions Hair can help you achieve the look you want. 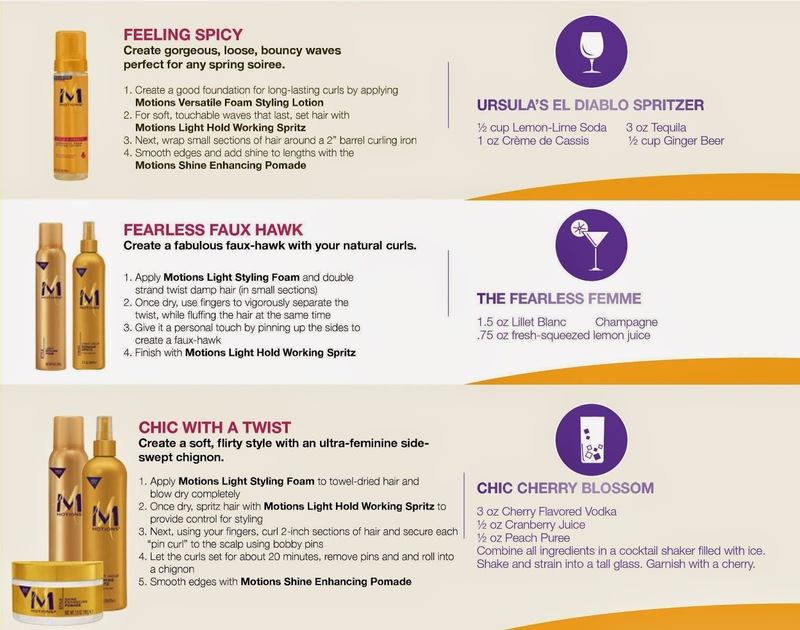 Celebrity stylist and Motions brand ambassador, Ursula Stephen has provided tips for tasty sips and flawless dos.